Illustrated edition of this American classic, first published in 1826. 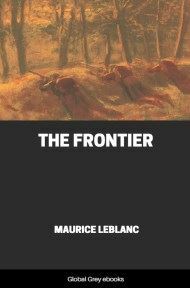 A historical novel, set in 1757, during the French and Indian War, when France and Great Britain battled for control of North America. During this war, the French depended on its Native American allies to help fight the more numerous British colonists in the Northeast frontier areas. 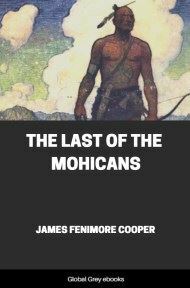 The Last of the Mohicans has been James Fenimore Cooper's most popular work. 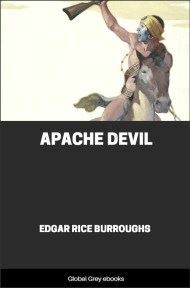 It has continued as one of the most widely read novels throughout the world, and it has influenced popular opinion about American Indians and the frontier period of eastern American history. The romanticized images of the strong, fearless, and ever resourceful frontiersman (i.e., Natty Bumppo), as well as the stoic, wise, and noble "red man" (i.e., Chingachgook) were notions derived from Cooper's characterizations more than from anywhere else. It is believed that the scene of this tale, and most of the information necessary to understand its allusions, are rendered sufficiently obvious to the reader in the text itself, or in the accompanying notes. Still there is so much obscurity in the Indian traditions, and so much confusion in the Indian names, as to render some explanation useful. Few men exhibit greater diversity, or, if we may so express it, greater antithesis of character, than the native warrior of North America. In war, he is daring, boastful, cunning, ruthless, self-denying, and self-devoted; in peace, just, generous, hospitable, revengeful, superstitious, modest, and commonly chaste. These are qualities, it is true, which do not distinguish all alike; but they are so far the predominating traits of these remarkable people as to be characteristic. It is generally believed that the Aborigines of the American continent have an Asiatic origin. There are many physical as well as moral facts which corroborate this opinion, and some few that would seem to weigh against it. The color of the Indian, the writer believes, is peculiar to himself, and while his cheek-bones have a very striking indication of a Tartar origin, his eyes have not. Climate may have had great influence on the former, but it is difficult to see how it can have produced the substantial difference which exists in the latter. The imagery of the Indian, both in his poetry and in his oratory, is oriental; chastened, and perhaps improved, by the limited range of his practical knowledge. He draws his metaphors from the clouds, the seasons, the birds, the beasts, and the vegetable world. In this, perhaps, he does no more than any other energetic and imaginative race would do, being compelled to set bounds to fancy by experience; but the North American Indian clothes his ideas in a dress which is different from that of the African, and is oriental in itself. His language has the richness and sententious fullness of the Chinese. He will express a phrase in a word, and he will qualify the meaning of an entire sentence by a syllable; he will even convey different significations by the simplest inflections of the voice. Philologists have said that there are but two or three languages, properly speaking, among all the numerous tribes which formerly occupied the country that now composes the United States. They ascribe the known difficulty one people have to understand another to corruptions and dialects. The writer remembers to have been present at an interview between two chiefs of the Great Prairies west of the Mississippi, and when an interpreter was in attendance who spoke both their languages. The warriors appeared to be on the most friendly terms, and seemingly conversed much together; yet, according to the account of the interpreter, each was absolutely ignorant of what the other said. They were of hostile tribes, brought together by the influence of the American government; and it is worthy of remark, that a common policy led them both to adopt the same subject. They mutually exhorted each other to be of use in the event of the chances of war throwing either of the parties into the hands of his enemies. Whatever may be the truth, as respects the root and the genius of the Indian tongues, it is quite certain they are now so distinct in their words as to possess most of the disadvantages of strange languages; hence much of the embarrassment that has arisen in learning their histories, and most of the uncertainty which exists in their traditions. Like nations of higher pretensions, the American Indian gives a very different account of his own tribe or race from that which is given by other people. He is much addicted to overestimating his own perfections, and to undervaluing those of his rival or his enemy; a trait which may possibly be thought corroborative of the Mosaic account of the creation. The whites have assisted greatly in rendering the traditions of the Aborigines more obscure by their own manner of corrupting names. 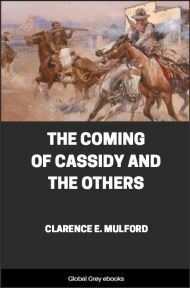 Thus, the term used in the title of this book has undergone the changes of Mahicanni, Mohicans, and Mohegans; the latter being the word commonly used by the whites. When it is remembered that the Dutch (who first settled New York), the English, and the French, all gave appellations to the tribes that dwelt within the country which is the scene of this story, and that the Indians not only gave different names to their enemies, but frequently to themselves, the cause of the confusion will be understood. In these pages, Lenni-Lenape, Lenope, Delawares, Wapanachki, and Mohicans, all mean the same people, or tribes of the same stock. The Mengwe, the Maquas, the Mingoes, and the Iroquois, though not all strictly the same, are identified frequently by the speakers, being politically confederated and opposed to those just named. Mingo was a term of peculiar reproach, as were Mengwe and Maqua in a less degree. The Mohicans were the possessors of the country first occupied by the Europeans in this portion of the continent. They were, consequently, the first dispossessed; and the seemingly inevitable fate of all these people, who disappear before the advances, or it might be termed the inroads, of civilization, as the verdure of their native forests falls before the nipping frosts, is represented as having already befallen them. There is sufficient historical truth in the picture to justify the use that has been made of it. In point of fact, the country which is the scene of the following tale has undergone as little change, since the historical events alluded to had place, as almost any other district of equal extent within the whole limits of the United States. There are fashionable and well-attended watering-places at and near the spring where Hawkeye halted to drink, and roads traverse the forests where he and his friends were compelled to journey without even a path. Glen's has a large village; and while William Henry, and even a fortress of later date, are only to be traced as ruins, there is another village on the shores of the Horican.